More than two dozen transportation champions came together July 15 in the Nation’s Capital for the inaugural meeting of the “Transportation Investment Advocates Council™” – a national network of construction and better roads professionals, chamber of commerce executives, and public officials who share a common interest in building support for transportation infrastructure investments in their state or local community. 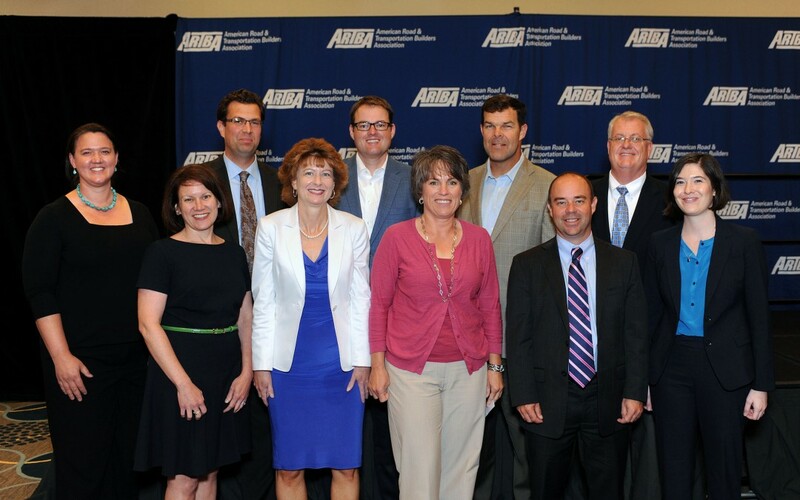 The Council, which is comprised of advocates from more than 20 states, helped kicked off the 2nd Annual National Workshop for State & Local Transportation Advocates, a signature program of ARTBA’s Transportation Investment Advocacy Center™ (TIAC). The workshop was held in conjunction with ARTBA’s Public-Private Partnership (P3) Conference in Washington, D.C.
During the meeting, Council members assessed the first year of TIAC’s operations; discussed future activities; shared their ideas for additional research, economic reports and possible “model legislation” such as indexing state gas taxes, or developing iron-clad language to create so-called “lock boxes” that prevent transportation funds from being shifted to other purposes. Council members also explored the latest digital grassroots mobilization platforms. The Council is co-chaired by Maria Fuentes, executive director of the Maine Better Transportation Association; Craig Thompson, executive director of the Wisconsin Transportation Development Association; Juva Barber, executive director of Kentuckians for Better Transportation; and Seth Millican, director of the Georgia Transportation Alliance. They also participated in the all-day workshop. TIAC, which launched in spring 2014, is an internet-based educational platform that features detailed reports, analyses and case studies of recent transportation funding campaigns—both successful and unsuccessful—mounted in numerous states. It includes television, radio and print ads, polling, an overview of state and local funding and finance mechanisms, and an ongoing blog detailing new developments across the nation.